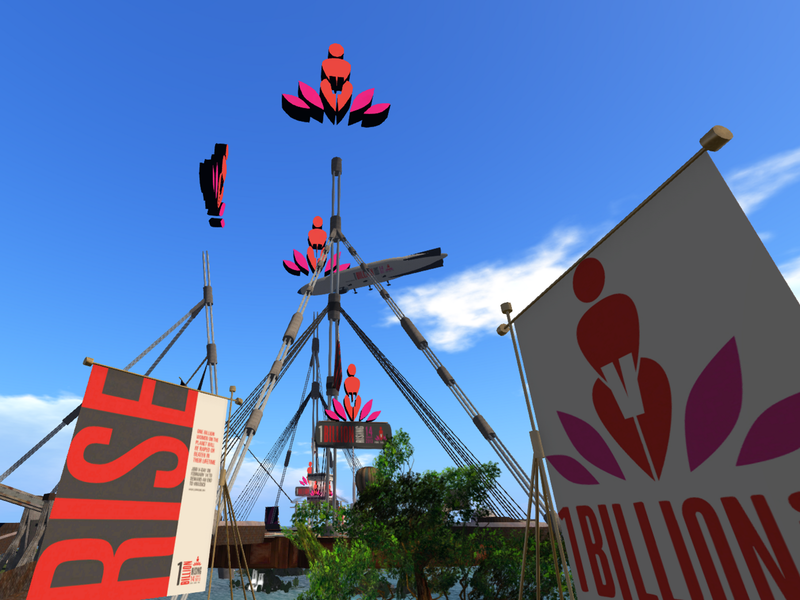 Now available on the web – our latest episode, as we take several peeks behind the scenes at how the event One Billion Rising in Second Life was created – and how the music video “Break the Chain” was created in Second Life as well! Find out about Second Life residents’ contribution to the international campaign to raise awareness about violence against women, and the resulting 24-hour event on February 14, 2013. Hosts Saffia and Elrik find out about the event One Billion Rising in Second Life, and how the in-world version of the music video “Break the Chain” was created. We’re joined by just some of the many people who played a part in creating the event and the video that accompanied it – and have a chance to see both the video, and some of the fantastic art works that formed part of the event too. Previous Post: Relay for Life 2013 Kicks off! Next Post: Do you have springtime news for Prim Perfect?